The routes traveled on this unforgettable trip are not often explored by your average visitor. Enjoy exclusive access to some of the most stunning vistas on the planet! 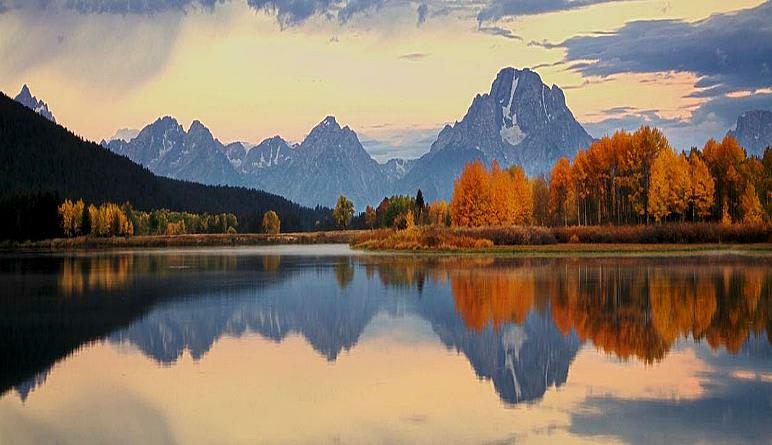 This Jackson Hole National Parks sunrise tour is available during both summer and fall—be captivated by lush green scenery or marvel at the colorful foliage (the autumn palette transforms these parks into magical tapestries)! Regardless of what time of the year you visit, you’re guaranteed to experience the wildlife at its most active. As the sun touches down onto The National Elk Refuge and Grand Teton National Park, the fauna begins to buzz and bustle, providing you with unrivaled wildlife photo opportunities! 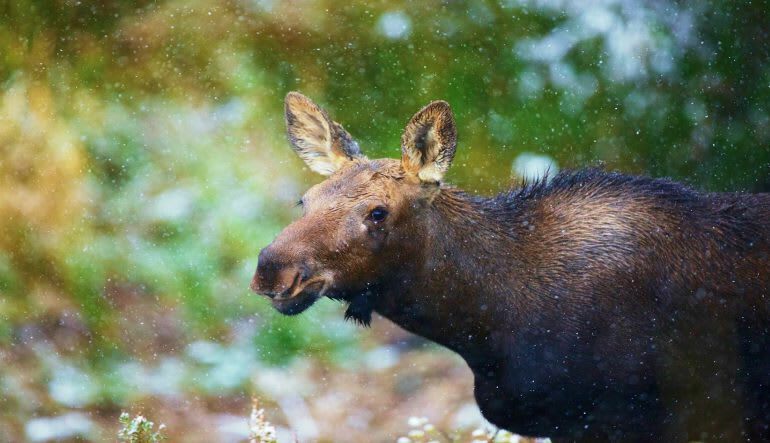 Embark on a sunrise wildlife tour of The National Elk Refuge and Grand Teton National Park! Travel the areas for 4-5 hours during summer or fall in a spacious SUV. To start off, this sunrise safari takes you to a favorite café for freshly brewed joe and pastries. 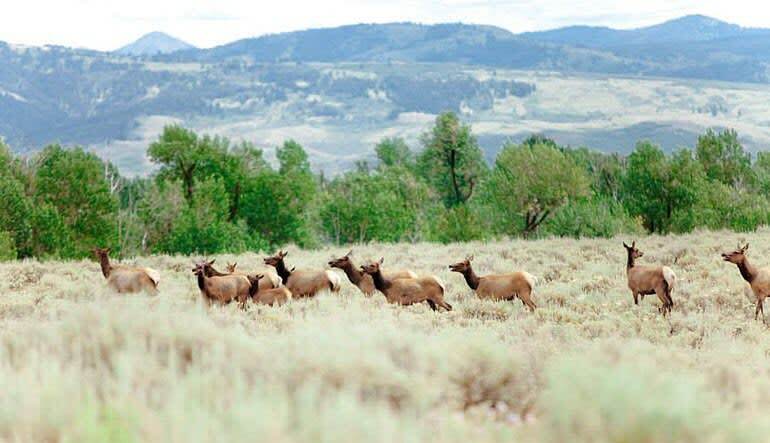 After your morning snack, head into The National Elk Refuge where all the fauna is waking up. 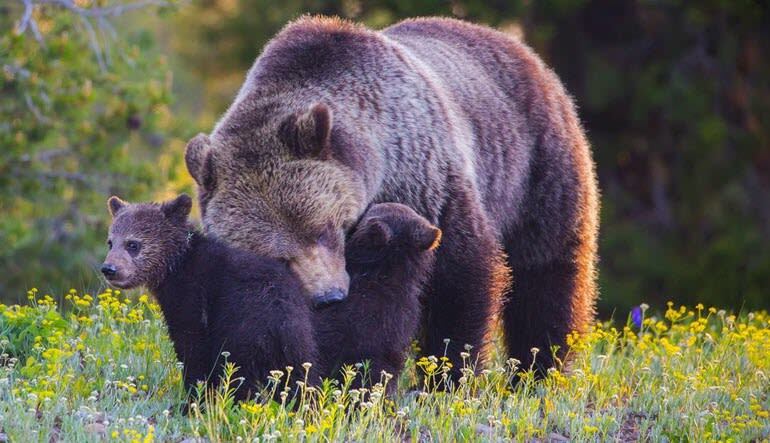 As you move through the refuge and into the Tetons, marvel at the grizzlies and black bears! Photograph elk, bison, moose and even wolves! Spot all the bighorn sheep scaling the Rocky Mountains. Learn from guides and wildlife photographer with decades of experience. Appreciate all the finer details with the help of scopes and binoculars. The routes traveled on this unforgettable trip are not often explored by your average visitor. Enjoy exclusive access to some of the most stunning vistas on the planet! Book now!